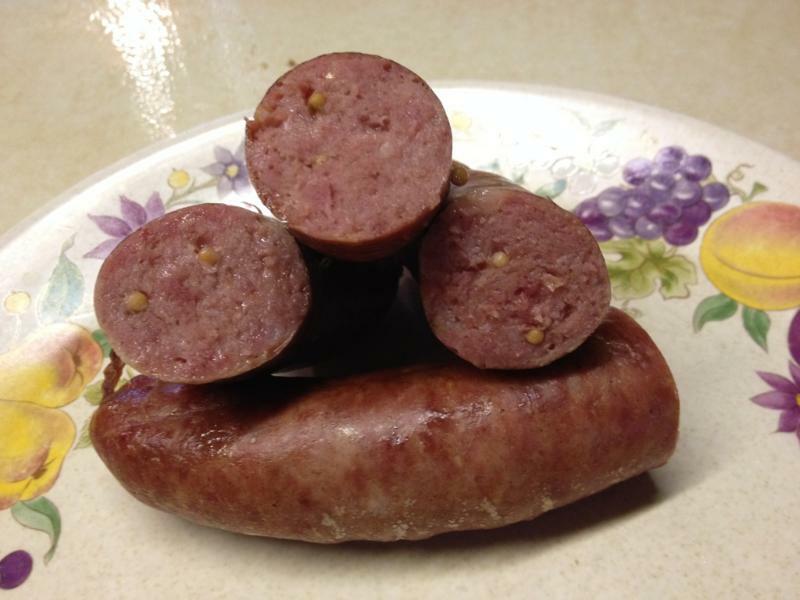 October | 2014 | sausageheavenoutdoors Enjoy making homemade sausage, Tasty way's to BBQ, smoking meats and poultry. See how northern Minnesota was settled and the life early homesteader's lived their lives and more!! 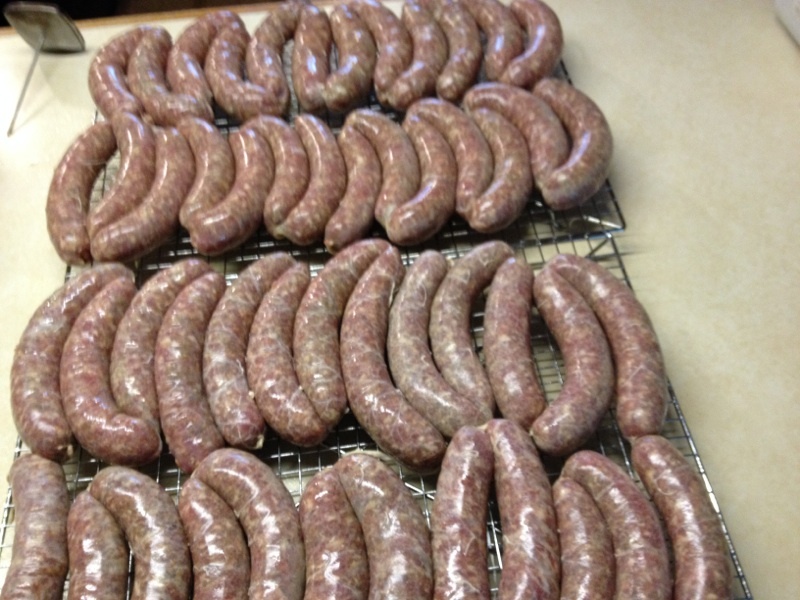 I make sausage all year long but for some of you the only time you get a chance to make sausage is after deer season. Maybe have someone make it for you as well. 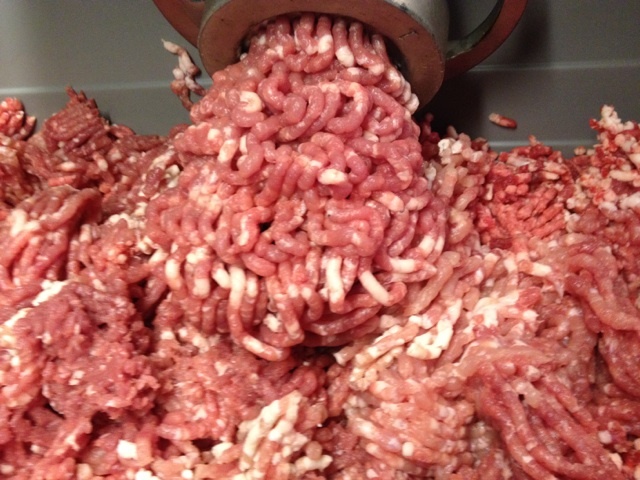 If you need some recipe’s and step by step methods for making sausage, check out my Homemade Sausage page. There you will find what you need for a variety of sausage. 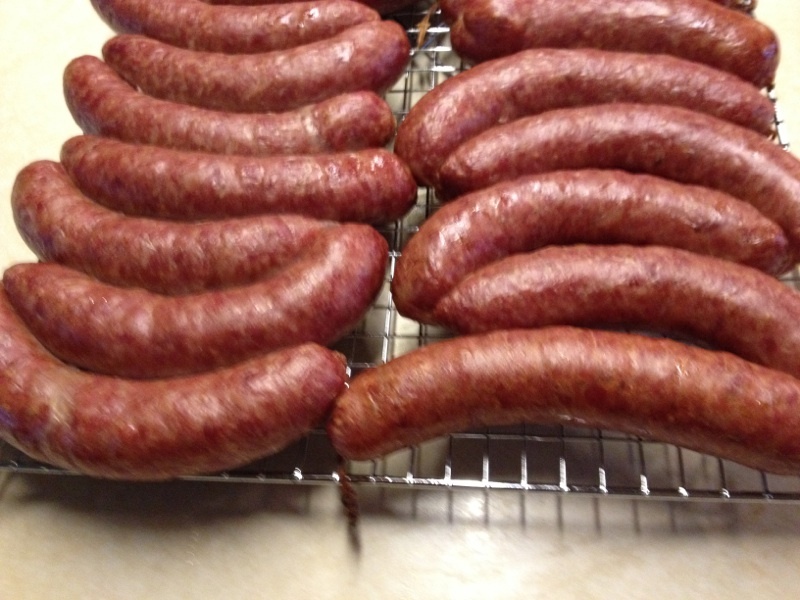 I just made some polish sausage for deer camp. Hopefully we get some venison with firearms deer season being just a week away. Here are some pictures of the polish I made this week. 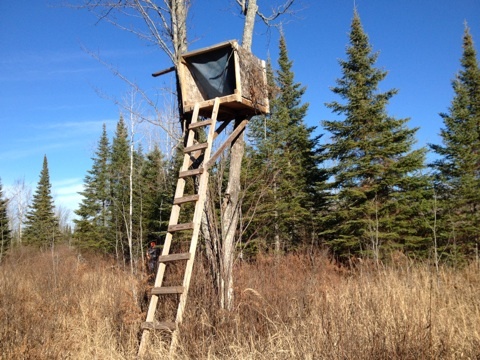 Every year we go up in late fall to check our deer area for deer signs and do a little grouse hunting as well. This year was no exception. The weather was great and that’s a bonus to add to the enjoyment to “just being there”. Brought the camper up there and set it up in it’s usual spot. It’s an old 1974 Jayco camper that still functions great. Plenty big for our needs. I was up there with my son-in-law Clay and my brother Ed. Al “the chef” came up us well to help out and bird hunt a bit. We normally start out with a good breakfast to get us started. 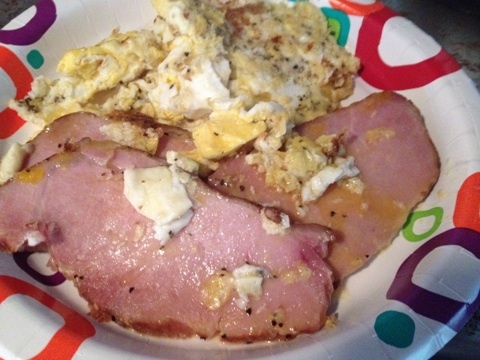 Some thick sliced home smoked Canadian bacon along with eggs as a side. Nothing fancy, but filling for sure. Then we head out and check our stand areas. Never know what the years elements can do as far as damage, so it pay’s to check everything out. Everything looked fine this trip, so we spent time bird hunting the remainder of the day and then some the next day before we had to head home. 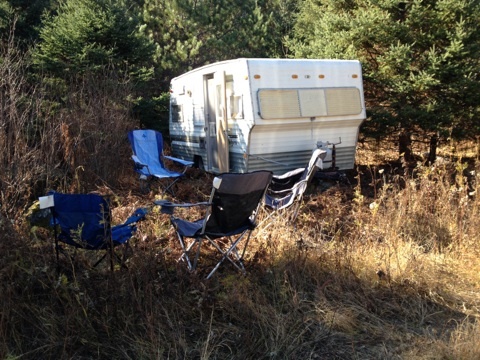 I set up camp with my trusty camper and put up some chairs for a nice fire later in the day. 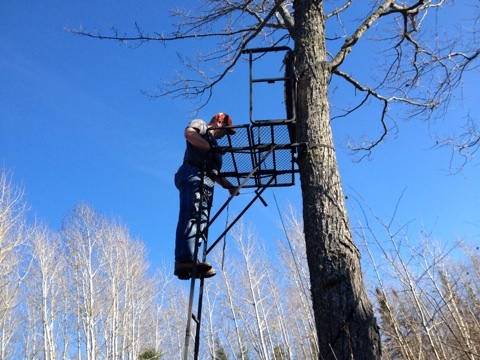 The trees held up well and our stands were safe and ready for us to climb this coming firearms season. 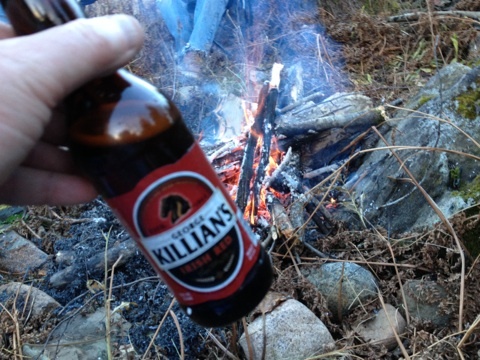 After a good day walking the forests a warm fire is built and it’s time to relax with a cold one [or two]. If you get a chance, get up to your hunting area and check it out. Can’t wait to get back up there to hunt for 5 day’s. Buck’s only this year but that’s ok with me. Time to build that herd back up. Love just being there. I’ll have a full report when I get back. That’s right!! My favorite comfort food of all time. I have eaten this as a child, made by my mom, years ago and still make it to this day. 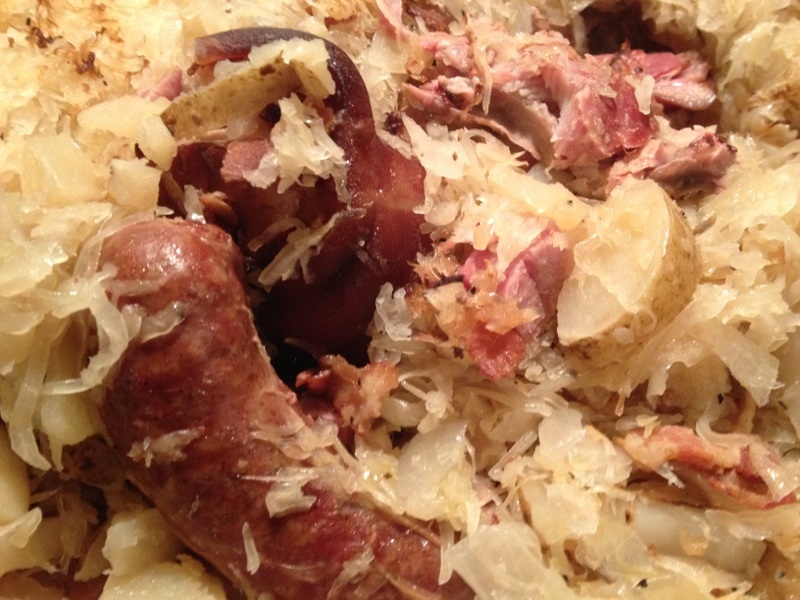 The German kraut/bacon I make was a side dish for many of our meals [Check out the Roladen recipe as well in the recipe page]. 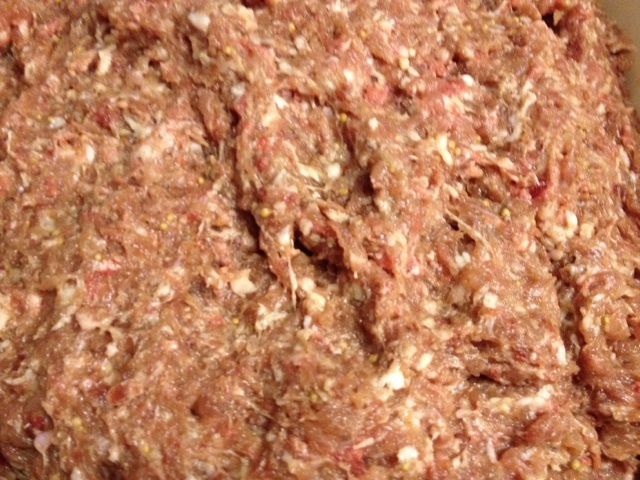 This meal has changed over the years from just kraut and fresh hocks to how you see it today in my recipe page. That’s why I call it a gumbo, with it’s many added ingredients. And that in turn, makes this dish so addicting. Check it out and give it a try. If you like kraut, then you will LOVE this comfort food!!! 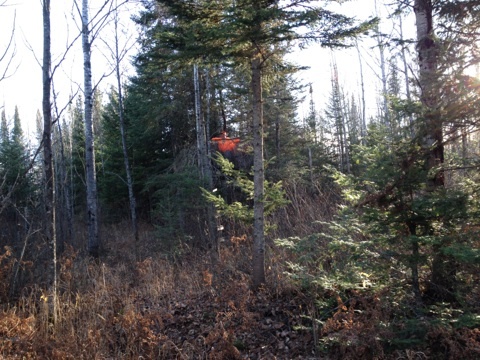 A missing duck hunter near Mille Lacs Lake forced to spend the night in the woods is a good reminder that anyone spending time outdoors should know wilderness survival basics, said an official with the Minnesota DNR. A recent news release from the Crow Wing County Sheriff’s Office said that 76 year old Glenn Huff of Garrison had become disoriented while hunting and was unsure of his whereabouts. Rather than wander aimlessly, Huff then hunkered down with his dog for the night, and at first light started to make his way back to his vehicle. The following morning Huff and the dog met up with sheriff’s office deputies who reported Huff in excellent condition following the incident. SIT: They should collect their thoughts and realize they are not lost; they just cant find camp or vehicle. THINK: What do they have at their disposal both physical and mental that can help them in this situation? Inventory survival kit and start to develop a plan. OBSERVE: Look around, is there shelter, water, an open area where searchers could see them? PLAN: Create a plan of action. Pick a spot that to build a fire for heat and signaling. In addition, can the spot provide basic shelter? 1. Basic shelter materials: Two 55 gallon garbage bags and 30 feet of braided mason’s line. 2. Means to start a fire: Disposable lighter, waterproof matches or matches stored in a waterproof container, or 10 feet of toilet paper or petroleum Jelly soaked cotton balls in a waterproof container. 3. Means of signaling: Whistle, signal mirror [could be an old CD]. A fire is also a signal. 4. Means of knowing direction: A compass. 5. Comfort food: Food bar, nuts or trail mix. Anytime people head outdoors they should plan for the unexpected and be prepared to spend the night in the woods. Here are some musts before heading out. 1. Always let someone know the destination and return plan. 2. Carry a compass or GPS and know how to use it. 3. Carry a basic survival and first aid kit. 4. Carry a cell phone. 5. Check the weather and dress for it. These outdoor safety tips are part of the DNR hunter education firearms safety program. An online study guide for hunters and outdoor enthusiasts is on the DNR website at http://www.dnr.state.mn.us/safety/firearms/index.html. Click on HunterCourse. When David Ramm hooked the big muskie on Crane Lake, he wanted to make sure his dad got to see it. “I knew this was a fish of a lifetime,” said Ramm, 36, of Blue Grass Iowa. “I said, look at her in case she gets off. I want you to see how big this fish is. He said, Oh, my god”. He was fishing with his dad, Gary Ramm, 74, of Davenport, Iowa, when he caught and released the big muskie on Sept. 11. Crane Lake is known more for its walleyes, crappies and northern pike. No muskies have been stocked in the lake. The fish measured 58 1/2 inches long with a 28 inch girth, David Ramm said. A muskie of that size is almost unheard of in northern Minnesota. “The biggest we’ve ever measured on Lake Vermilion is 55.6 inches,” said Duane Williams, DNR large lake specialist at Tower, “I hear reports of 56 or 57 inches on Lake Vermilion that are probably fairly credible.” The DNR’s International Falls fisheries team surveyed muskies on Crane Lake in 2008 and 2009, Said Tom Burri, DNR assistant area fisheries supervisor at International Falls. DNR crews caught and released just four muskies up to 50 1/2 inches long, Burri said. But reports of big muskies have been increasing on Crane Lake in recent years. The theory is that some of Lake Vermilion’s muskies slip over the spillway at the Lake Vermilion dam and make the 40 mile trip down the Vermilion River to Crane Lake. The DNR’s Williams and Burri both say they believe that’s how Crane Lake gets its muskies. 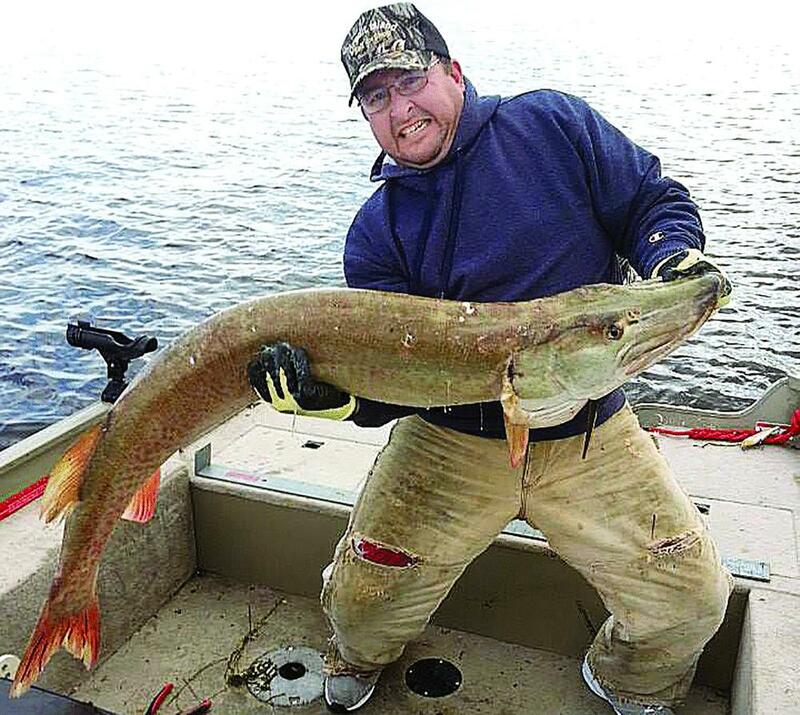 Although this large muskie could have been a new state record, Ramm released the fish. He plans to have a replica mount made of the fish. This is from the Duluth News Tribune.